This site contains basic information on a selecting a school, how to get money for school, what parents need to know, and a financial need estimator. On line registration and FAQ for the PROFILE, a program of the College Scholarship Service® (CSS®), the financial aid division of the College Board. Many colleges, universities, and scholarship programs use the information collected on PROFILE to help them award nonfederal student aid funds. This site is a coalition of four not-for-profit organizations dedicated to helping families learn about and fund higher education. This site, sponsored by the College Board, helps students and their families understand their award letter, compare aid offers and learn about strategies for paying their share of the cost. Get detailed information on how to complete each question on the Free Application for Federal Student Aid. The 2003-04 version is already online. 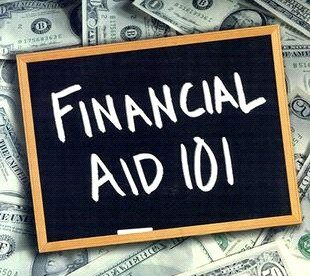 Obtain general information about the financial aid process on the federal level.. The seventh largest education lender in the US offers information about its student loans and federal student aid. Also provides links to nearly 250 US college and university financial aid offices. Compare loans and apply online with major lenders. Search for scholarships. See what loans your school recommends. An interactive application that students can use to apply for federal student aid over the net. Extensive help screens prevent errors that can delay processing. Financial Aid Information Page – regularly updated, current, objective – vast source of all types of financial information. This is the most complete financial aid page we’ve found so far! This comprehensive site sponsored by the US Department of Education has links to three brochures: Funding Your Education provides general information about the U.S. Department of Education’s federal student financial aid programs. It is designed for high school students and others considering entering a post secondary school for the first time. Looking for Student Aid – A short brochure covering sources of Free Information About Student Aid and using Scholarship Search Services. The Student Guide tells you about federal student financial aid (SFA) programs and how to apply for them. This site is maintained by a former financial aid administrator. You can subscribe to his free financial aid newsletter via e-mail and get advice on the entire funding for college process. Fundsnet™ is a privately owned Web site created in 1996 to assist nonprofit organizations find funding resources on the Internet. It has pages listing scholarships and financial aid opportunities. This companies specializes in giving loans to students who wish to study overseas. Professional site has many links to financial aid information of special interest to parents. The NDSLC is a coalition of the universities and colleges that participate in the Federal Direct Student Loan Program. This site provides information about the Direct Loan program, its history and background, pertinent articles and publications, campus success stories, and updates from Washington. Largest nonprofit organization in the US that provides information about student loan and financial aid plans. While this is a commercial site sponsored by a financial institution involved with college loans, it has a user friendly explanation of the financial aid process for both parents and students. Comprehensive site offers search for financial aid and information about scholarships. This site is sponsored by a nonprofit loan organization and features a free data base of 150,000 scholarships as well as financial planning information. Extensive financial aid site including scholarship and loan information. Males must register for selective service before they can receive financial aid. This site allows you to register on-line. This site is affiliated with the magazine and discusses planning for college and the financial ramifications. Booklet maintained by the federal government explains how financial aid works. It also has information about the types of aid awarded by the government: PELL grants, Direct and FFEL Stafford Loans, PLUS Loans, consolidation loans, work study and Perkins Loans. Use this site to find your school’s Title IV code when you fill in your FAFSA. Explains all the various financial aid options and ways to apply. Complete the online questionnaire and access 600,000 scholarships, grants, tuition waivers, internships and fellowships.